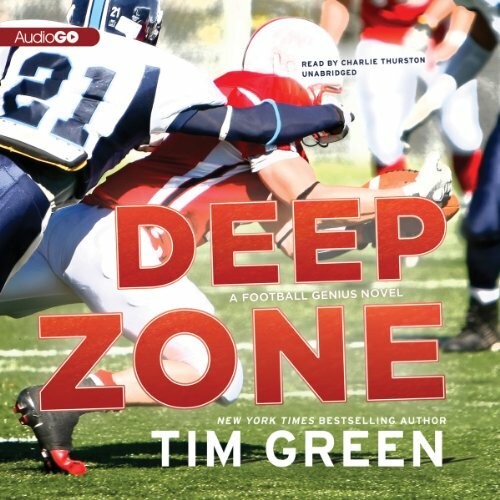 New York Times best-selling author Tim Green delivers electrifying family drama and thrilling sports action, as the heroes from Football Genius and Football Hero battle to win the big 7-on-7 tournament, only to realize that their pasts are dangerously intertwined. Troy White is a star quarterback who can predict a football play before it happens. Ty Lewis is the football hero - a wide receiver with exceptional speed, living in the shadow of his NFL superstar brother. Both boys are striving to win the 7-on-7 tournament that's being held at the Super Bowl in Miami, sure that they can claim victory for their team. From the moment the two football champs cross paths, Troy and Ty begin to size each other up. Troy is suspicious of Ty’s interest in his best friend while Ty worries his speed will never be a match for Troy’s game smarts. But when the two rivals find themselves entangled in the same web of deceit, they discover they have more in common than their skill at football. Misunderstandings, a first crush, and heart-stopping football action distract the two rivals from the danger that threatens them both. My 9 yr old son really liked the first Football Genius book and loves sports books. This book is all about the mob and describes how someone kills people and cuts their stomachs open with a knife. I was shocked and wished we had not listened to this book. The voices are also horrible, we liked the first book that kids do some of the voices. This one is awful- the southern accents are so bad.